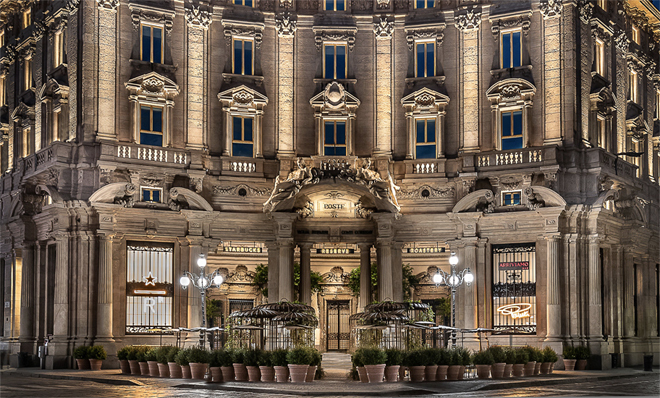 The Milan Reserve Roastery is Starbuck’s most highfalutin, most luxurious outlet yet and Luxuo’s Business of Luxury columnist analyses if Schultz can succeed. Once upon a time, Howard Schultz operated a small coffee business called Il Giornale in downtown Seattle. While many recognise him as the founder of Starbucks, most in the business community know him as the manager who bought Starbucks from the original owners. Starbucks’ first founders hadn’t originally planned to sell espressos but rather, high-quality coffee beans and equipment. And so, 35 years on, after conquering much of the developed world, it seem inevitable that the business trajectory of the “two tailed mermaid” would open a frontline store in the Capital City of Coffee, Milan. “We arrive with humility and respect in the country of coffee,” Howard Schultz, the founder of Starbucks to Corriere della Sera. 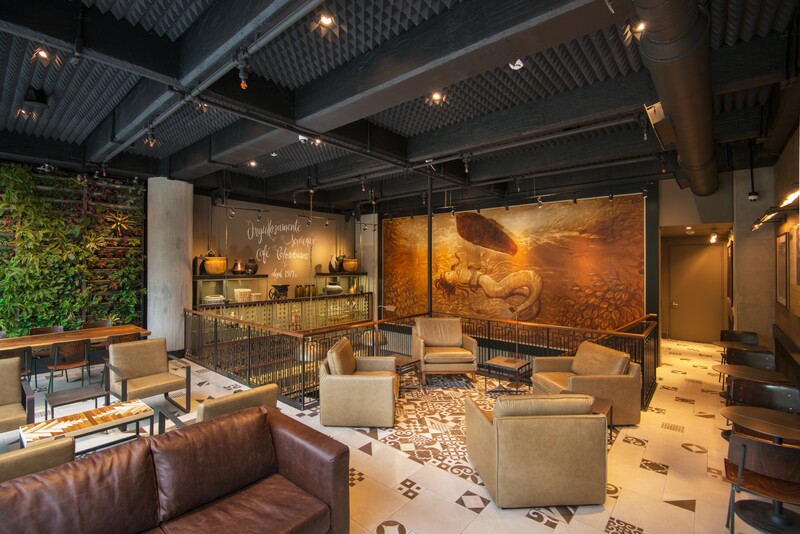 Inaugurating the Milan Reserve Roastery, Starbuck’s most highfalutin, most luxurious outlet in Milan, Howard Schultz saw the culmination of an over three decade long vision which he brewed in the little espresso bar selling all Starbucks coffees while offering an Italian-inspired menu. Il Giornale was the first incarnation of Howard Schultz’s dream to building a coffee bar business that would reach across the US and the world. Speaking to Corriere della Sera, Italy’s leading daily, Schultz was cognisant that he was following in the footsteps of American F&B giants, McDonald’s and Coca Cola, into one of the world’s most developed coffee and gastronomic cultures. Let that settle for a moment – Imagine McDonald’s introducing something as vulgar as processed pre-cooked hamburger into the land of Tagliatelle Ragu alla Bolognese. Today, you’re introducing ice-blended frappes into a land where coffee is not just drink but cultural and historical. Early in the 16th century, Venice was among the first European ports to import coffee beans. 300 years later, men met in Turin coffee houses to plot the country’s unification or Risorgimento, meaning “the Resurgence” or “revival”), the political and social movement that unified different states of the Italian peninsula into the Kingdom of Italy but really, the great miracle (and irony) lies in the fact that coffee has no roots in Italy at all, that is to say, it is not a crop grown there. Italy’s reputed prowess with coffee rests on her penchant to produce roasters and blenders for espresso. Necessity is indeed the mother of invention and Italy’s Industrial Revolution in the 19th and 20th century meant that whenever factory workers took their coffee breaks, productivity dipped – it took too long to make, longer to drink (inevitably because it was hot) and it was anything but express; Turin inventor Angelo Moriondo had patented a steam-driven “instantaneous” coffee beverage making device in 1884 but it wasn’t enough. 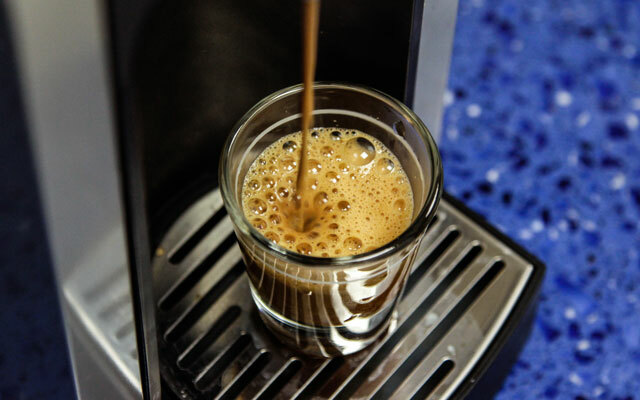 They needed an “express coffee” and in 1901, Milanese inventor Luigi Bezzera conceptualised of the world’s first single-serving espresso machine, capable of making very concentrated, small coffee shots in a quarter of the time of regular coffee. 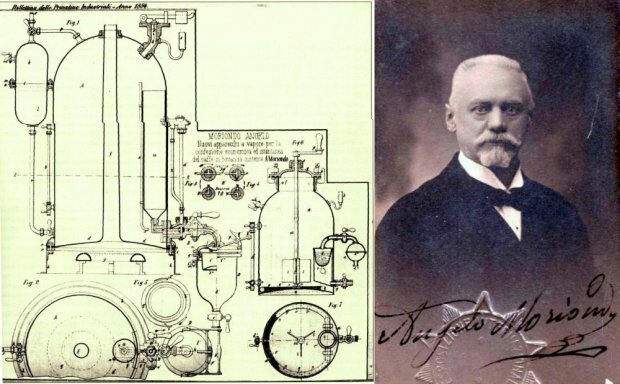 Bezzera discovered that by expressing or forcing a small amount of nearly boiling water under pressure through finely ground coffee beans, it produced a short, concentrated drink which you could finish in double quick, he called espresso. 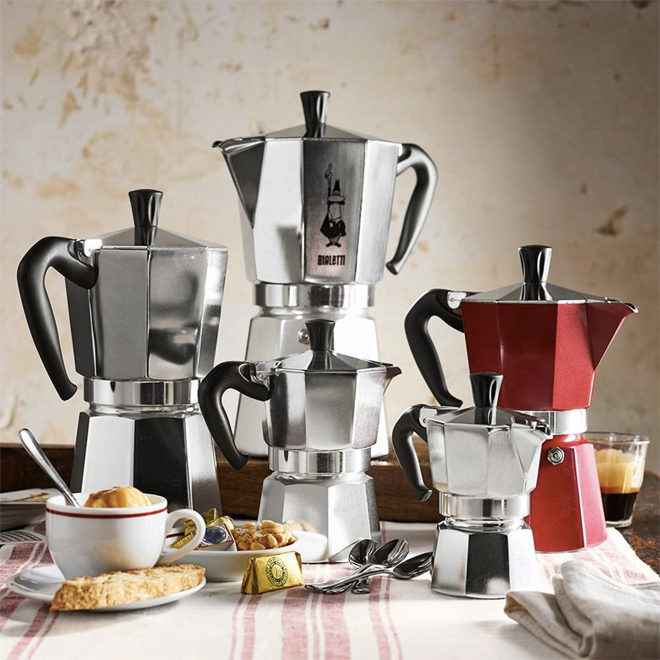 Invented by Luigi De Ponti, the moka pot, named after the Yemenite city of Mocha, is a stove-top or electric coffee maker that brews coffee by passing boiling water pressurised by steam through ground coffee and in 1933, its patent and subsequent mass production by engineer Alfonso Bialetti made home-brewed coffee a part of every Italian household and cemented an icon of Italian design worldwide. The original founders Siegl, Bowker and Baldwin had never intended on selling cups of coffee, only the whole beans and coffee equipment so when Starbucks Coffee Company hired Howard Schultz in September 1982 to shape marketing strategy, they had never intended or planned for a beverage business but Schultz, after a trip to Italy, was convinced that an espresso bar business was the future of Starbucks and from the long queues around the Milan Reserve Roastery, his vision of Starbucks might turn out to Italy’s future of coffee as well. Visitors to Italy would be familiar that coffee prices vary depending on whether you have table service, drink it standing or have it to go; the Starbucks Milan Roastery will sell an espresso for 1.80 euros “sitting or standing,” and a cappuccino for as much as 4.50 euros, leading to social media furore that Starbucks could drive up prices up for their daily cuppa across Italy, still the lines formed. Italian daily columnist Aldo Cazzullo, like many hot blooded Italians, considered the opening of Starbucks in Milan as nothing short of “a humiliation.” though he made concessions that espresso bars in Italy weren’t exactly the most inviting of spaces and for him, the arrival of a conglomerate chain like Starbucks represents a potential apex predator into local coffee culture. That said, it’s undeniable how woven coffee is into the social and cultural fabric of Italy. 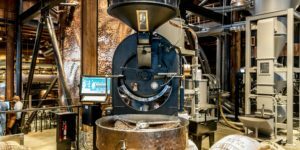 According to CNN contributor Silvia Marchetti, for all the fanfare surrounding the new “Reserve Roastery,” including the long lines outside, it’s unlikely to have much of a long-term impact on locals. 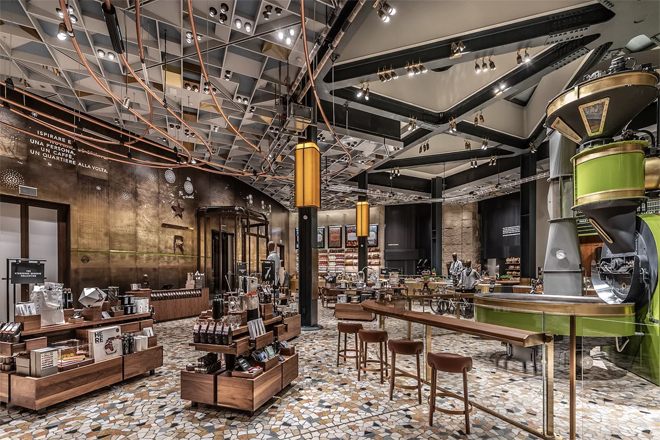 Indeed, Starbucks’ Italy inspired roots notwithstanding, the overt Americanness of the Starbucks experience, might just be its undoing in Milan. 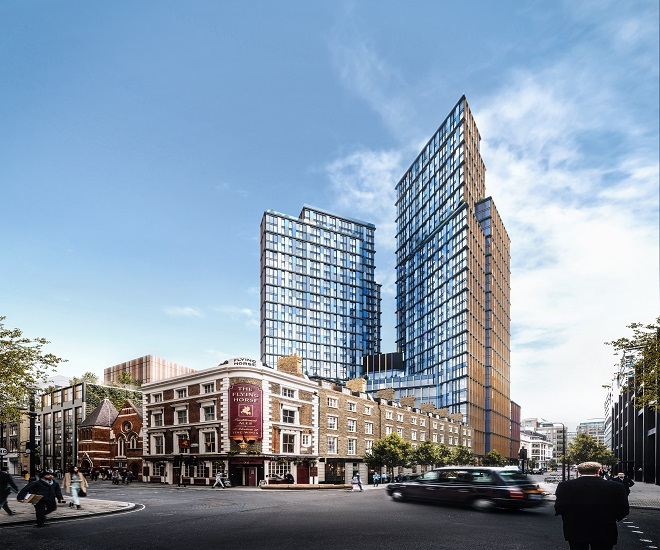 The Starbucks Reserve Roastery, with its bronze and Tuscan marble fixtures is a literal temple to coffee, very unlike the snug “holes in walls” where customers sit, or generally stand, shoulder to shoulder, vying to make an order to a barista who hasn’t quite grasped the concept of customer service. Offering more than 115 different types of coffee, including an affogato station which makes ice-cream on-site and to your order using liquid nitrogen, the Reserve Roastery stands out in a coffee culture of generally two widely ordered brews – espresso or a denser espresso, the Ristretto, a 15-millilitre shot of pure distilled espresso, drunk gulped scorching hot. Italians don’t linger over coffee, they down anywhere from 1 to 5 shots, faster than you can get the bar’s Wi-Fi password right (that’s even if they have Wi-Fi), Starbucks on the other hand, is designed as a place to get comfortable, linger and work with a laptop WHILE enjoying your coffee. The onsite bakery is also again, an anti-thesis of the Milanese coffee experience, a true Italian might retort, “Pastry with coffee? Coffee is a digestive taken AFTER food. What’s wrong with you?” Final insult, the Starbucks Reserve Roastery sits, steps away from the Milan Cathedral, attempting to out Italy the Italians, within sight of the Royal Palace and Sforza Castle with a nigh declaration of war, an Italian inscription, “Every coffee we served brought us here,” honestly, perhaps one should be grateful that they didn’t attempt to further outdo the Italians by emblazoning the text in the original Vetus Latina. “Our research shows younger Italians, 16-34 year olds, are much more open to American coffee-style concepts such as flavoured Frappuccinos, cold brew and more lightly roasted coffee,” Jonny Forsyth, Mintel global drinks analyst to Reuters. According to Reuters, Starbucks plans to open four more stores in Milan by the end of 2018, given the myriad of independent coffee bars, an incursion of such scale could have an impact on local café culture. According to Market Research group, Mintel, Global Drinks Analyst Jonny Foryth believes that a new generation of young Italians embrace American style coffee such as flavoured Frappuccinos among other popular staples of Americana much more willingly. 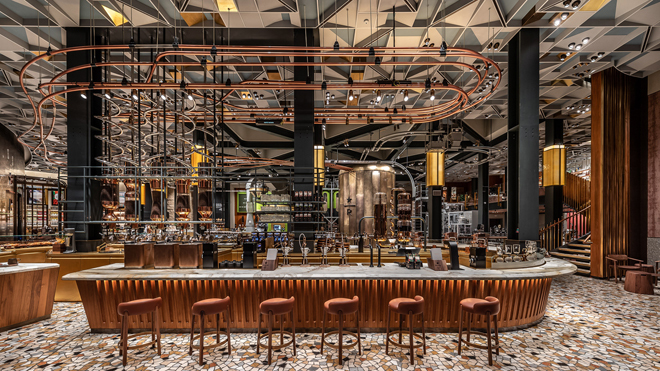 Indeed, while older generations anchored to Italian traditions, see the Starbucks Milan Coffee Roastery as a blight, unfit to compete with Italian coffee, there’s some historical irony with the American coffee chain’s entry. 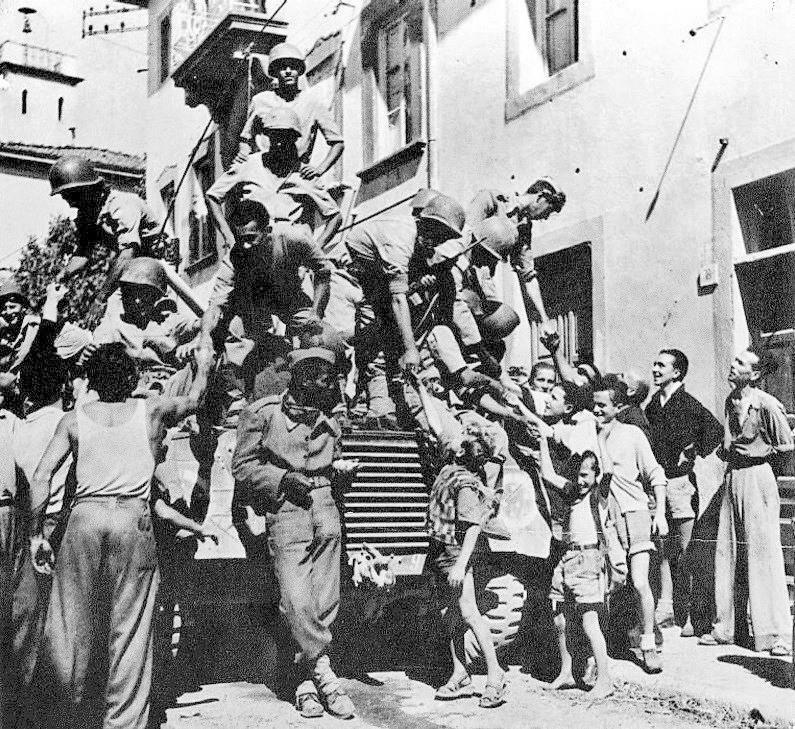 During World War II, Mussolini’s siding of Hitler’s Germany meant that coffee fell under League of Nations (a precursor to the United Nations) embargo almost overnight and that meant that many older Italians, the children of that era, tasted coffee in the “instant” water-soluble American forms brought by US soldiers. For all of Italy’s repute in coffee, the largest coffee chain in the world isn’t Italian, it’s American. Starbucks has some 30,000 stores in 77 countries, including 3,400 stores in China (where they are sold more expensive than anywhere else in the world) and employs around 45,000 employees. If this is a coffee war, the US$5.24 billion company is mathematically poised to win it but it’s a far from certain outcome considering the insane lengths that went into launching their Milanese beach-head, accompanied by orchestra in the recording with tenor Luciano Pavarotti, a pontificating Milan Starbucks’ general manager and outright press statements comparing commercial coffee sales to “a lore rarely found outside Italian opera”. For all the money and corporate bluster that Starbucks can throw at Italy, perhaps the final word (and disdain that most Italians feel about American coffee) lies on their menus: L’americano, a coffee so sacrilegious and mild, the Italians named it for the Americans. At press time, Starbucks shares closed 0.30 lower to end trading at $54.82 compared to the day before.